Monster High Trick or Treat Bag only $2.39 + Possible Free Shipping! UPDATE: A promo code is automatically applied when you visit the site. You'll need to remove that code and enter the 20-save code instead in order to receive the discount on this item. 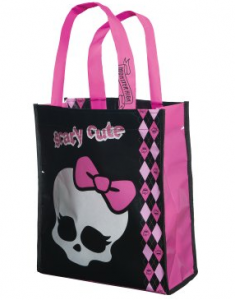 Head over to BuyCostumes.com to get a great deal on a Monster High Trick or Treat Bag! If you don't have or want to sign up for the ShopRunner trial, shipping is $4.99. Click here to visit the site to get this deal or search the site to see what else you can find! Thanks, Wheel N Deal Mama and H2S!